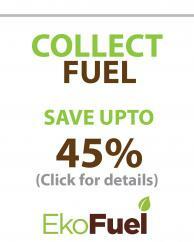 EkoFuel is a tradename of Prima Industries Ltd which has been trading continuously since 2006. Ekofuel was established as a brand in 2011 after 3 years successfully testing and selling bioethanol fuel for use with bioethanol fires and bioethanol burners. Since 2011 we have continued to deliver high quality, environmentally friendly bioethanol fuel for bioethanol fires to thousands of customers online and through Ebay, Amazon and through 2013 and 2014 through ASDA. In summer 2013 the EkoFuel range expanded to include a bioethanol BBQ lighting fluid, bioethanol fuel for alcohol marine stoves and bio ethanol fuels for alcohol camping stoves or spirit stoves as they are commonly known. All these products continue to be made with high quality, sustainably produced bioethanol.. All our bio-ethanol fuels are methanol free and therefore safer than those containing methanol such as methylated spirits. They are all made according to an EC approved recipe and contain 97%+ bioethanol and a low % of denaturants. All our bioethanol fuels address the growing need for Eco friendly bio-ethanol fuels with low CO2 footprints. Some go beyond that and provide improvements over currently available products. Our bioethanol for alcohol camping stoves and alcohol marine stoves address the phasing out of methylated spirits which has already begun due to EC legislation. These methanol free "meths alternatives" provide an ideal replacement for these applications, whilst also reducing the health risks that were associated with the methanol in methylated spirits. Our bio-ethanol based BBQ lighting gel is in our opinion; an improvment over the petroleum based BBQ lighting fluids. Although a bio ethanol BBQ lighting gel has a lower calorific value compared to a petroleum based BBQ lighting fluid, when used according to the instructions it functions extremely well as well as avoiding all the health risks associated with petroleum based BBQ lighting fluids. No more black soot and petrol fumes and no more food tainted with the small of petrol! Ekofuel are continually looking to extend our range of Eco friendly fuels, accessories and appliances. We have a track record of excellent customer service and customer care which can be seen from our Ebay 5900+ testimonials. We are committed to supplying quality, environmentally friendly products and have a team of personnell committed to ensuring you goods are delivered on time. We know that you sometimes have questions about our products and that email only responses can be frustrating. If you have any questions, a problem with your order or would prefer to order your products over the phone rather than online, then do not hesitate to contact us. Ekofuel accepts most major debit and credit cards. 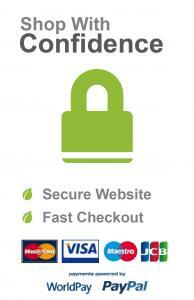 We use the world pay secure payment platform and also Paypal. If you do not wish to make your purchase via the internet, please feel free to call us during normal office hours and we will take your order over the phone. If you are interested in stocking EkoFuel products or have any questions regarding the EkoFuel range, we encourage you to get in touch with us on 01709 524 162 or email ekofuel@primaind.co.uk. In addition to Ekofuel.org, Ekofuel products are also sold through EBay and Amazon. EkoFuel is a brand of Prima Industries Ltd.